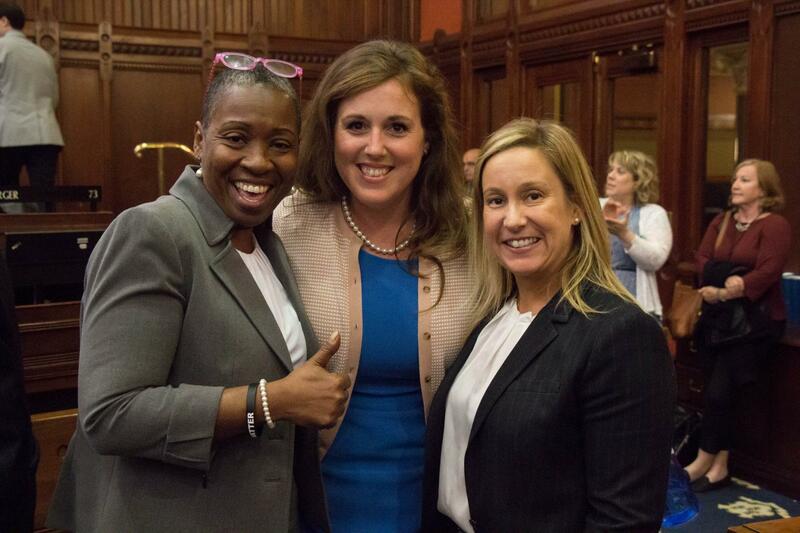 State Reps. Robyn Porter, D-New Haven, and Liz Linehan, D-Cheshire, led passage of House Bill 6668, which would amend Connecticut statute to strengthen current protections for pregnant women. The bill, which was unanimously approved in the Labor and Public Employees Committee, passed in the House of Representatives in a 120-30 vote. While the federal Pregnancy Discrimination Act of 1978 and state law prohibit employees, employment agencies and labor unions from discriminating on the basis of pregnancy, childbirth or related health conditions, HB 6668 would ensure reasonable accommodations are provided to employees, allowing them to work despite pregnancy limitations. Despite the protections already in place, the Equal Employment Opportunity Commission reported that during fiscal years 2011 to 2015 about 31,000 pregnancy discrimination cases were filed with the agency. Last year, the Commission on Human Rights and Opportunities received more than 70 pregnancy discrimination complaints. These claims were made by countless women across the state regardless of their profession, race and ethnicity. HB 6668 was introduced by state Reps. Christine Conley, Liz Linehan, Kelly Luxenberg, Cristin McCarthy Vahey, Caroline Simmons and state Sen. Mae Flexer. Because this bill would make it unlawful to refuse an employee or prospective employee’s request for reasonable accommodations, women will no longer have to choose between pursuing a career and raising a family. Connecticut would not be the first state in the U.S. to enact stronger protections for women in the workplace. Similar legislation has also been enacted in 14 other states with bipartisan support. HB 6668 now heads to the Senate for consideration.